Ok, so the word “mung” isn’t the sexiest in the english language. Beans also have the connotation of being something magical. 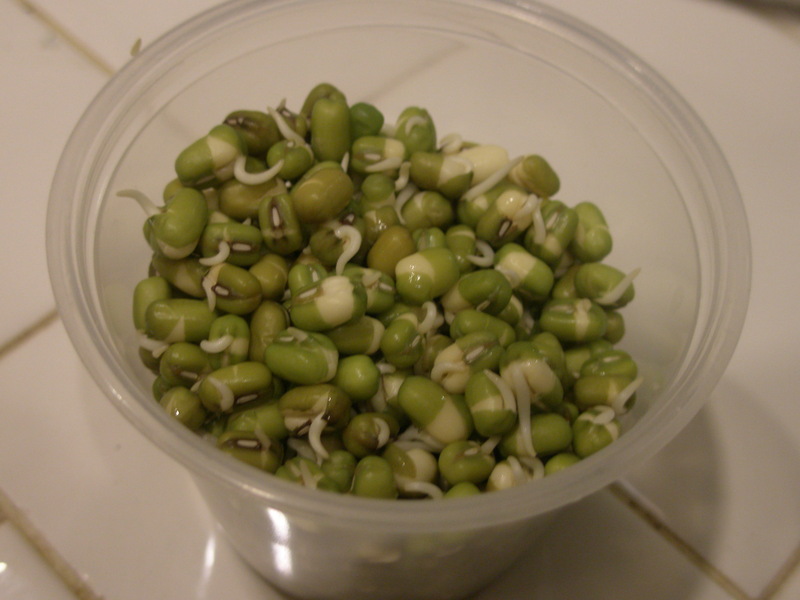 What I didn’t know is that mung beans are high in protein, and can be high in flavor when prepared the right way. I found some soaked mung beans in a plastic bag that was sitting in my Mom’s refrigerator. Since I was in the mood for some sort of salad, I set these aside. I busted out some cole slaw, threw it in a bowl with some chopped red onions, shredded Daikon (carrot shaped mild radish), a dash of sesame oil, and a dash of vinegar. Topped with mung beans and garnished with some cilantro. Amazing! 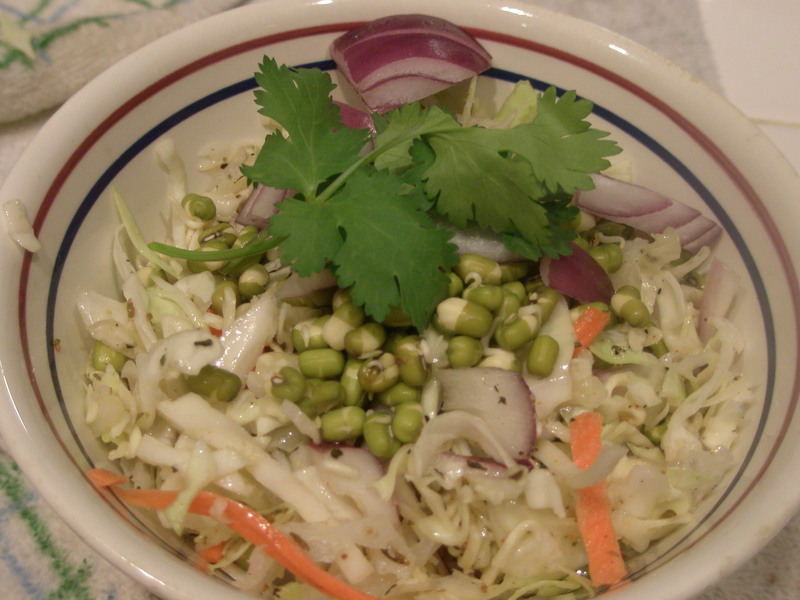 This fantastic little salad offers a diverse mix of textures with the cole slaw mix, daikon and mung beans. You get that lovely crunch that reminds you of a crisp Utah morning in march. One of my favorite experiences. Also the red onions give you a kick to remind you that your sinuses are clear and free.